by Melinda Johnston and Louise Rutledge. Extended Conversations is supported by Creative New Zealand, Wellington Community Trust and Dunedin City Council. © 2018 the authors and artists. those of Enjoy Public Art Gallery Trust or Blue Oyster Arts Trust. The "where are you from" story? 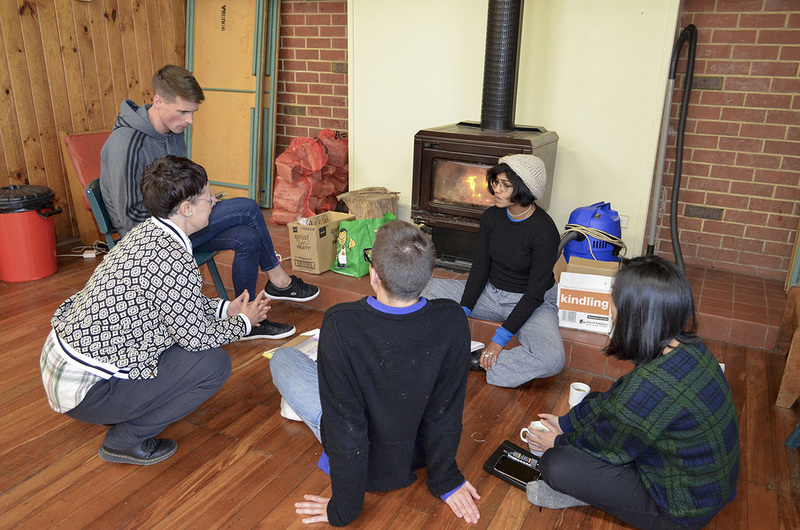 Extended Conversations is a programme for emerging art writers based in Aotearoa, co-convened by Enjoy Public Art Gallery and Blue Oyster Art Project Space. Part online publishing platform and part mentoring programme, this initiative will build, sustain and share dialogue between emerging participants and established writers from March to November 2018. Exploring art writing as a critical activity, Extended Conversations is structured around two intensive workshops and the subsequent development of two long-form texts by each participant. 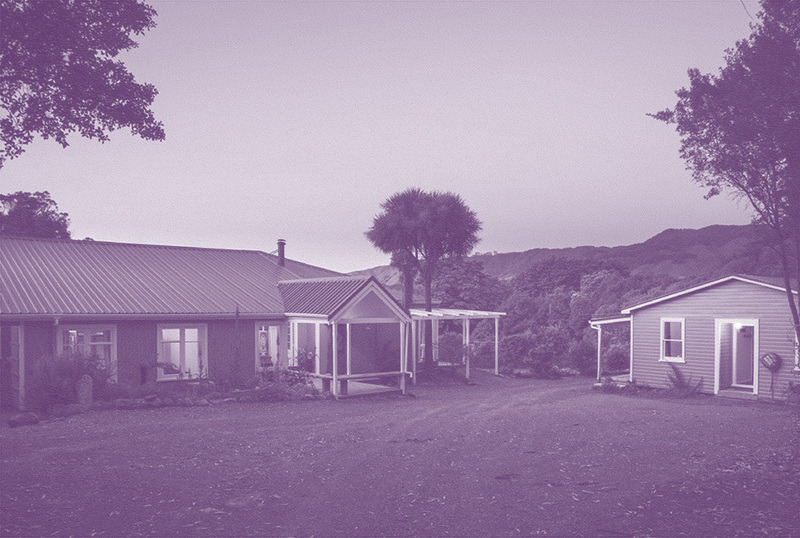 The programme has been developed considering the specific cultural and artistic contexts of Aotearoa, exploring questions around the challenges, ethics and efficacy of critical writing about art. Jessica Aitken works as a Collection Technician at the Southland Museum and Art Gallery Niho o te Taniwha and has an interest in museum and art collections. Jessica has written about her experiences as a student and emerging museum professional in the sector, and contributed to short-form articles and social media series on objects and art. Jessica completed her Masters of Museum and Heritage Studies in 2017 and holds degrees in architecture and art history from Victoria University of Wellington. Jessica is being mentored by Thomasin Sleigh. Simon Gennard is a writer and curator based in Te Whanganui-a-tara. His work has appeared in Overland, The Pantograph Punch and Turbine. Simon was the 2017-2018 Blumhardt Foundation/Creative New Zealand Curatorial Intern at The Dowse Art Museum, previously worked as Curatorial Assistant at the Adam Art Gallery Te Pātaka Toi, and is currently a facilitator of artist-run initiative MEANWHILE. Simon is being mentored by Robyn Maree Pickens. Dilohana Lekamge is an artist and writer based in Te Whanganui-a-tara. She graduated from Massey University with a BFA (Hons) in 2015 and is currently a facilitator at MEANWHILE. Her work has been published through Pātaka Art + Museum, Christchurch Art Gallery Te Puna o Waiwhetu, Adam Art Gallery Te Pātaka Toi, The Pantograph Punch and in 2017 she was a Writing and Publications Intern at Enjoy Public Art Gallery. Dilohana is being mentored by Rachel O'Neill. Francis McWhannell is a freelance writer and curator with a particular interest in painting in Aotearoa. He holds a Bachelor of Arts (Hons) in Museums and Cultural Heritage from the University of Auckland, where he is currently completing a Masters in Art History on the art of Denys Watkins. He has written for various arts and culture magazines and websites, including Art News New Zealand, HOME, and Runway Conversations. From 2016 to 2017 he was Visual Arts Editor at The Pantograph Punch. Francis has contributed essays for exhibitions at public and commercial galleries, such as Blue Oyster Art Project Space and Michael Lett. Recently, his writing has appeared in the catalogues for Painting: a transitive space, ST PAUL St Gallery Three, Auckland University of Technology, 2016 and Denys Watkins: Dynamo Hum, Gus Fisher Gallery, University of Auckland, 2017. He is co-curator with Gabriela Salgado (Artistic Director, Te Tuhi) of the Projects at the 2018 Auckland Art Fair, to be held in May in downtown Tāmaki Makaurau. Francis is being mentored by Jon Bywater. Hanahiva Rose comes from the islands of Ra’iātea and Huahine and the people of Te Atiawa, Ngāi Tahu, and Ngāti Toa Rangatira. She is an Art History student and writer based in Te Whanganui-a-tara. Her work has appeared in publications published by Adam Art Gallery Te Pātaka Toi, Enjoy Public Art Gallery, and Tautai Pacific Arts Trust, among others. Hanahiva is being mentored by Matariki Williams. Amy Weng is the founder and editor of HAINAMANA, a website dedicated to fostering Asian New Zealand art and culture. She also writes for a number of online and print publications including The Pantograph Punch, Peril (AU) and HAMSTER. She was the organiser of the first Asian Aotearoa Artists Hui in 2017, a forum for visual arts practitioners of Asian descent to advocate for issues facing their community. She was also the curator of Remedial Learning at RM, 2017, a project that explored non-Western paradigms of teaching and healing, and had a solo exhibition at Window Gallery in 2017. In 2018 she will co-host the second Asian Aotearoa Artist Hui at Massey University, Wellington. Amy is being mentored by Jan Bryant. Jan Bryant is a writer, curator and Senior Lecturer in the Monash University's Department of Fine Art, specialising in the theory of modern and contemporary art and the history of experimental cinema. Her writing focuses on artists' work and on contemporary art-thinking and practice. She also organises exhibitions of contemporary art. She is currently completing a book on art and politics in the twenty-first century. Recent publications and exhibitions include: Contemporary Political-Aesthetics: The Gift of Being Disgusted (forthcoming); “The Oddity: Angela Brennan,” 3-Ply publishing, (forthcoming); “Art and failure: of things perfecting and corrupting metallick bodies,” Buxton Collection Show, Buxton Gallery, University of Melbourne, 2018; “Weak Men and Disorderly Women,” for artist, Lisa Crowley, as content for the exhibition, Incandescents, Te Tuhi, Auckland, 2017; A Chain of Mountains, co-curated with Tamsen Hopkinson, TCB Gallery, Melbourne, 2017; “Nick Mangan,” The National 2017: New Australian Art, Art Gallery of New South Wales, 2017. Jan is mentoring Amy Weng. Jon Bywater is a writer, based this autumn in Waitati. He has published widely on a broad range of media and artistic modes in contemporary practice as a critic, contributing to British and American periodicals including Afterall, art-agenda, Artforum and Frieze, and Australasian journals including Art + Australia, Art New Zealand, Landfall and Reading Room, as well as numerous monographs and catalogues. The significance of place from a post-colonial perspective is a consistent emphasis in his research and a connection to his work in the art collective Local Time. Excerpts from his essay “Interrupting Perpetual Flight” are included in the anthology Situation in the Documents of Contemporary Art series and the chapter “NZ Art Can’t Exist” (Now Showing, Govett-Brewster Art Gallery, 2016) surveys issues in the developing relationship between a globalising art world and art identified with Aotearoa. Jon is mentoring Francis McWhannell. Robyn Maree Pickens is a writer, curator and PhD candidate in ecological aesthetics at the University of Otago, Ōtepoti. Her writing has appeared ANZJA, Rain Taxi, Jacket 2, Art + Australia Online, takahē, Turbine|Kapohau, The Pantograph Punch, Queen Mob’s Teahouse, Art New Zealand and Art News. Currently she is an art reviewer for the Otago Daily Times, Art News and The Pantograph Punch and was the Blue Oyster Project Space’s 2016 summer writer-in-residence on Quarantine Island Kamau Taurua. Robyn is mentoring Simon Gennard. Rachel O’Neill is a filmmaker, writer and artist based in Te Whanganui-ā-Tara, Aotearoa. O’Neill's critical responses and reviews have been widely broadcast and published. She was editor of Booknotes Unbound, 2013–2015, the Second Enjoy Occasional Journal Over Under and Around, 2011, the Canary Annual, 2007 and Crease, 2003–2005. Her debut book One Human in Height was published by Hue & Cry Press in 2013. In 2017 she received a CNZ quick response grant to develop her second book and took part in the Aotearoa Short Film Lab. She is a graduate of Elam School of Fine Arts and the International Institute of Modern Letters. Rachel is mentoring Dilohana Lekamge. Thomasin Sleigh is a novelist, art writer and Community Manager at DigitalNZ. She has written about the visual arts for many different publications and galleries and in various guises, as critic, collaborator and art historian. Her debut novel, Ad Lib, was published by Lawrence & Gibson in 2014. Thomasin is mentoring Jess Aitken. Matariki Williams (Tūhoe, Ngāti Hauiti, Te Ātiawa, Ngāti Whakaue) worked her way from a stint in publishing (at Huia Publishers and Bridget Williams Books) to museums where she is now Curator Mātauranga Māori at Te Papa. Outside of this she is Editor – Kaupapa Māori at The Pantograph Punch, co-founder and co-editer of the now dormant Tusk – Emergent Culture and is a regular guest editor at Radio New Zealand's The Wireless. Most importantly she is mama taniwha to her two haututū kids. Matariki is mentoring Hanahiva Rose. 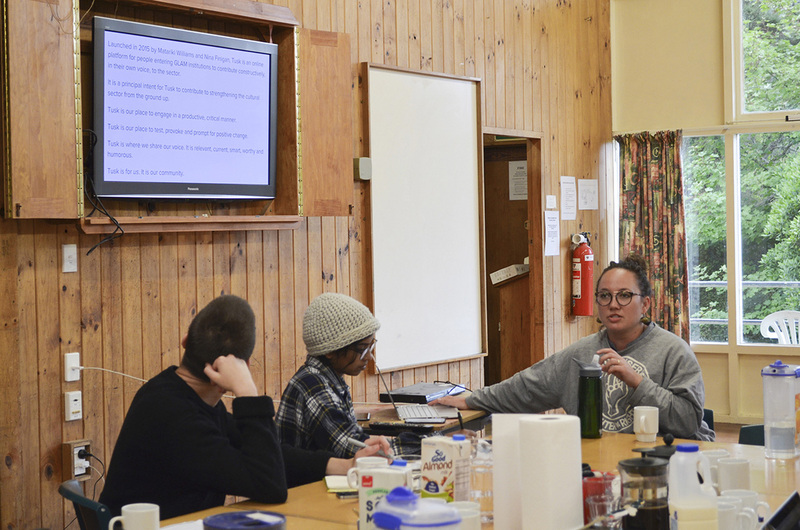 The programme began with a group intensive from 6–8 April 2018, held in the outskirts of Ōtepoti Dunedin at Wairoa Camp, Silverstream Valley. 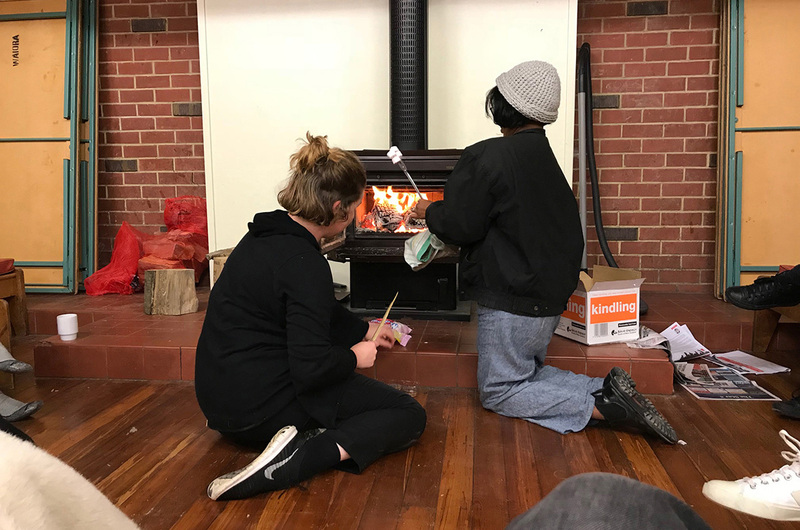 The intensive explored the idea of reciprocity in critical exchange from a variety of perspectives, considering the dynamics between criticism and care as a way of welcoming writers into the programme and collaboratively mapping out peer feedback structures. 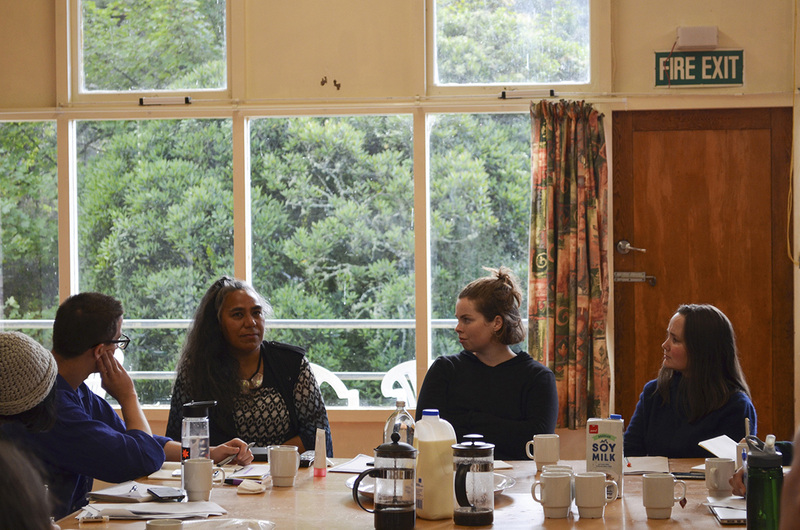 The sessions during the intensive were presented by writers and curators Jon Bywater, Robyn Maree Pickens and Matariki Williams, and community activist and educator Pip Laufiso. Exploring how to work within and beyond established formats such as the review, the interview and the essay, Intensive 2: Form and Voice considered the politics of how readers are addressed alongside the structure and development of texts. The intensive took place between Te Whanganui-a-Tara Wellington and Ōtaki, Kāpiti on the 13–15th of July. 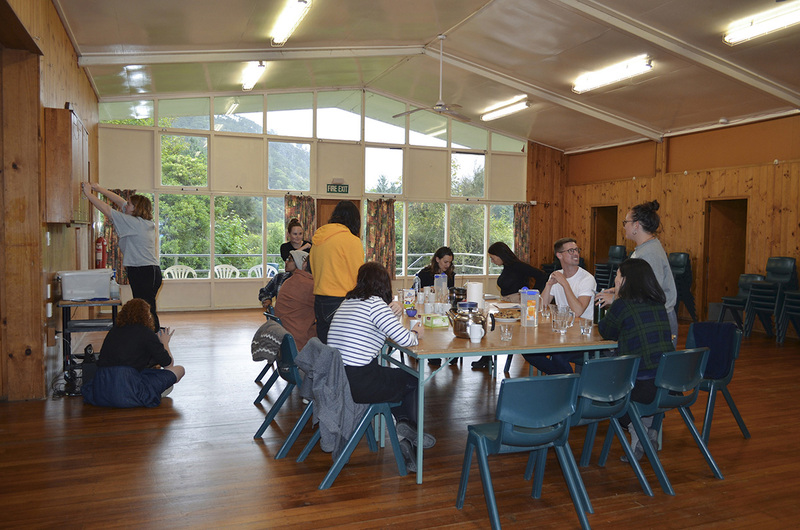 It included a morning tea and kōrerō with Shannon Te Ao, a close reading session with Rachel O’Neill and Thomasin Sleigh, and presentations by Gregory Kan, Grace Ryder and Sophie Davis. Taking the ideas developed in the first half of the programme as a starting point, programme participants and presenters discussed the potential of language and different formats when writing about—or around—art.